Noto Governor Taira no Noritsune's Blog! So, apparently we lost Emperor Antoku, the sacred treasures, my honorable father, and countless good soldiers earlier today. I no longer care if I die on this day, I will find and destroy Yoshitsune, no matter the cost. I wish I knew what he looked like. Ah, screw it, surely one of his men knows. If not, I'll just kill them all just to be sure. I'm about to don my armor now, and I don't know if I'll be able to post again after this, depending on whether or not I can finally kill that coward Yoshitsune. I'm grabbing a huge quiver of arrows too. Time to flee, weaklings, I won't stop until Yoshitsune is dead, and anyone who faces my wrath faces vengeance incarnate. This may very well be farewell, loyal readers. It's been great. But I've wasted too much time writing this post already, the battle is nearly upon me. Sorry I haven't updated in a while, something horrible happened. I grabbed him as soon as I could and threw him in the boat, but there was nothing anyone could do. He died right in my arms that day, and I've been having trouble coming to terms with it. He was only 18 years old, and he meant a lot to me. I'll get you Yoshitsune, you coward, if its the last thing I do! So there I was, chillin' in my room, when all of the sudden EVERYTHING is on fire. None of the guards saw anything from the front, so apparently he either figured out how to fly or somehow climbed down the sheer cliff behind our fort. Either way, that was some crap. Anyway, I grabbed Usuguro and booked it for Yashima over in Sanuki. Screw that noise! I don't want anything to do with this wizardry. So they needed me up in the mountains, apparently there's been some trouble with the Genji and a chump named Yoshitsune. I'll go, I'll go any day of the week. A man who seeks comfort seeks death, I'm ready and willing at any time to be sent in to danger, at least you'll know that an enemy in one area will be completely destroyed. But seriously, just after I finished setting up our camps in the hills, my moron brother brings his wife over. I don't think he understood just what sort of danger we're looking at here. If the Genji come down these cliffs, theres no way that you'll be able to get an arrow in time, and if my warriors care as little as my brother does, we'll have no chance of even grabbing our swords. Man he makes me angry sometimes. So check this out, right: My reinforcements hadn't even arrived yet when the enemy just up and surrendered the camp and split for the four directions! Didn't end up getting my hands on Michinobu or his two stooges from Bungo, but screw it! Is there nobody my equal? Hahaha! Yeah right! Apparently the nobles back in Fukuhara are throwing a feast in my honor! PARTY TIME!! Ughhhhh that was a nightmare. 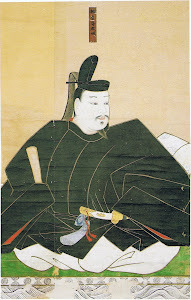 That Michinobu coward found some more cowards by the names of Usuki no Jiro Koretaka and Okata no Saburo Koreyoshi from Bungo, grabbed over two thousand men, then set up a serious strongpoint over at the Imagi stronghold. Are you kidding me right now guys? Do we have a single ally in this country? Anyway, I had to get more riders to deal with those stubborn bastards. There was seriously no helping it, I had to call in reinforcements. You cant take out an army of two-thousand men with just three-thousand riders without taking some serious casualties. So I sent a runner over to my honorable father in Fukuhara, and didn't want to take any chances, so I called for at least fifty thousand more riders. Overkill? Lets just say I didn't want another Yoshinori, if you catch my meaning. Anyway, the riders should be arriving any time now, so I can finally kill these cowards. Maybe there will even be a warrior my equal in their camp somewhere, who knows? So I caught up to with Tadayasu and Tadakage near Fukei. Yes, I know I was too late to stop them from joining forces, but it didn't matter. We smashed them hard and sent them straight to the underworld in short order. Not Tadayasu and Tadakage, those two cowards turned tail and fled to the capital before the battle was over. No, I meant all of their retainers and men. I nabbed 200 heads for myself, strung em up on the walls, then headed home. I don't have the strength to assault the capital just yet, and my honorable father has requested my presence at Fukuhara anyway. I'll update again once I get over there! A blog about my exploits helping the Taira defeat those Genji pigs.